This weekend it was time to check our potted potato experiment to see if we’d actually been able to grow anything. The plants got fairly tall as potatoes tend to do, and over the last few weeks had started dying back, though two of them still had some green leaves. 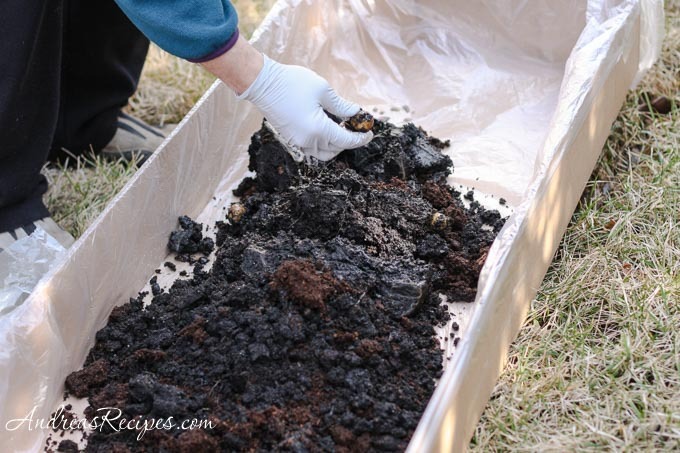 We dragged the two pots that appeared ready out into the yard and dumped them out into a long box that Michael had lined with painters plastic. 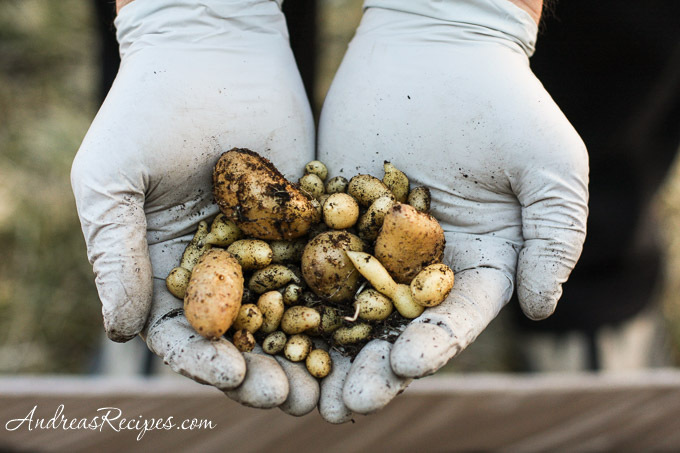 As Michael sorted through the dirt, he pulled out the old potatoes that were soft and squishy and set aside any new potatoes we found. Nothing in the first pot. Second pot, nothing. This wasn’t looking good. We couldn’t find any sign of disease, so we wondered if the potatoes were sterile. 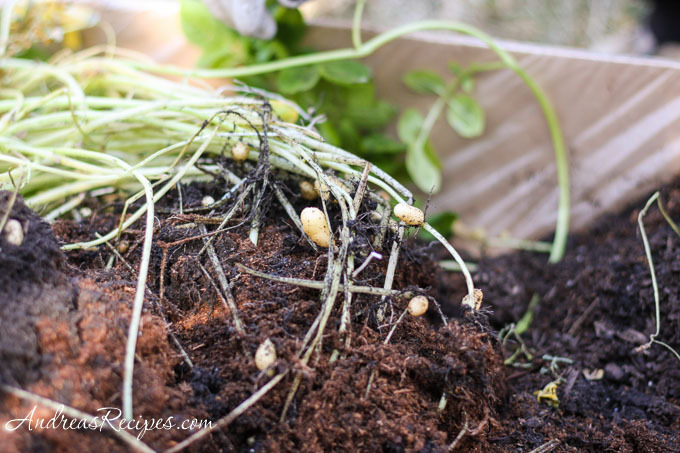 They had sprouted green stems and grown like crazy above the soil line, but there was no sign of any new potatoes on the roots. So we brought out one of the other pots that wasn’t quite ready and dumped it out to see what might be in there. That’s what we were looking for, little potatoes budding on the roots. We fished them all out and found some larger ones, too. We decided to leave the other pot and let it finish up, probably in a couple weeks, then we’ll check to see if that one has anything good for us. So growing potatoes in pots indoors during the winter can be done, we just have to refine our technique. And of course we now want to grow them outdoors, too, so it’s time to start work on that. Oh..its looking so good and I am really excited to see this. Taking your advice, we have sowed tomatoes and flowers in our pots. Can you tell me how to sow green onions ??? Thanks for sharing… !